XL 6142 x 4099px 15 Mb. 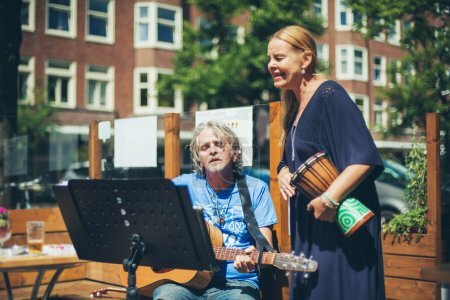 Street musicians performing acoustic in summertime at outdoor cafe. Amsterdam. The Netherlands.